GSM Home Security 4 Input adalah projek untuk memantau rumah ketika keluar daripada rumah melalui GSM. 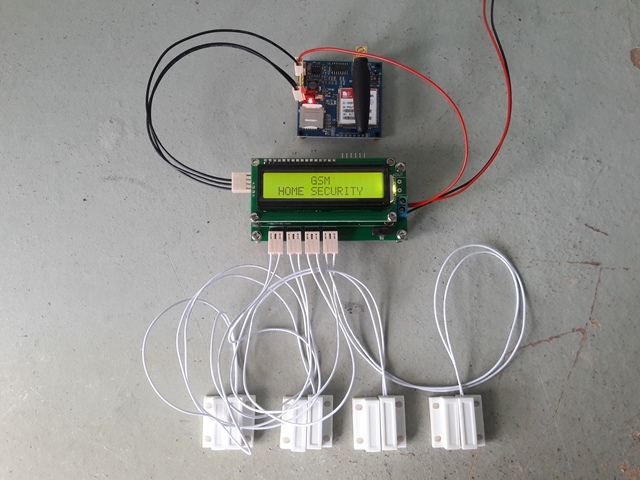 Projek Arduino GSM Home Security 4 Input memasang empat magnetic switch pada mana-mana pintu masuk rumah. Harga projek Arduino GSM Home Security 4 Input adalah RM480 tidak termasuk bantuan teknikal. Di bawah adalah cara projek ini berfungsi. 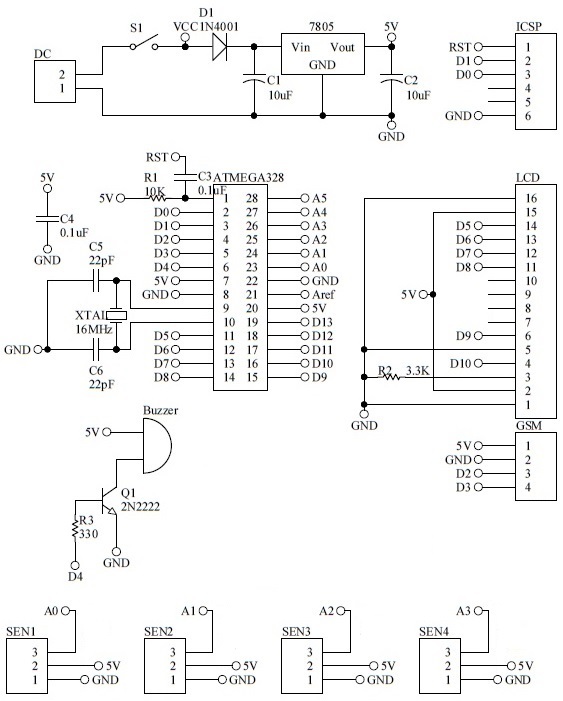 I’m doing RFID security lock system with smoke detector… can you help me out ? I’m not doing free job. Hi very good project you have here. I want the source code how to pay and is it $25 with all you have listed the (Source code, PCP designs and components)? Can pay using paypal. There have paypal button at top right on this blog. There have whatsapp, facebook or e-mail. Hi good project here i see. Want to buy the code what does it come with? How much do you charge for a complete parts list as well as the code needed to replicate this project? 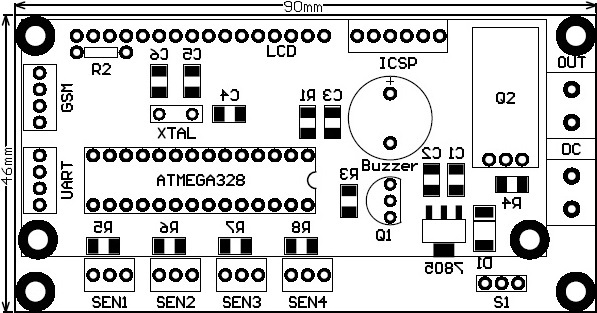 The price is MYR100 (USD25) for schematic, pcb design, components list and source code. Will you provide complete source code in C and also any help if I need to increase number of sensor input. Greetings! Would you please send me the full Code for this project so that I can make one for my Home far away from my job place ( another district ). Please do not hesitate to tell me if I have to pay. Its a great project you have made. I changed language in def. Your phone number is denied to give command.